John Beamer, has created a wonderful short video trailer that really captures the spirit of our production. 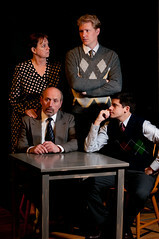 Death of a Salesman runs through March 20th at The Pear Avenue Theatre in Mtn. View. Tickets are available at www.thepear.org.